Pickups are one of the simplest electronic devices there are. They are simple enough to create yourself, with little more than a spool of wire (usually a coated wire), a magnet (small pile magnets, or steel posts and a bar magnet), and some fiberboard or plastic. You might also like this HumbuckerSoup article: Lindy Fralin Pickup Phase — What’s the Deal? Simply put, you create a bobbin out of the fiberboard and the magnets, then you wind the wire around the bobbin thousands of times. The more you wind, the Hotter the pickup will be. The beginning of the wire is the Ground lead; the end of the wire is the Hot lead. The copper wire and the magnet create a small electromagnetic field that reacts to your guitar strings and creates an electrical signal with a constantly varying voltage in the Hot and Ground leads. Your amplifier interprets these changing voltages as your guitar signal. I’ve explained this because there are two key things that pertain to this article on guitar pickup wiring: the magnet and the coil. The magnet determines the polarity of the pickup. It will either be facing North Up or South Up. If you are not sure what your pickup polarity is, there are two ways to find out. The first way is to use a regular old school compass and hold it to the pickup in question. If the North of the compass points AWAY from the pickup then the pickup has a North Up Polarity, if the North of the compass points TOWARD the pickup then it has a South Up Polarity. The second way is to use another magnet. If the North side of the magnet repels away from the pickup, then the pickup has a North Up Polarity. If the North side of the magnet sticks to the pickup then it has a South Up Polarity. For two single-coil pickups to have noise cancelling properties (in the two and four switch positions) one pickup must have a North Up Polarity and one pickup must have a South Up Polarity. Humbucker pickups have two coils and they are designed so that one coil has North Up polarity and one coil has South Up polarity. As I’ve said earlier, in my discussion of guitar pickup wiring, the coil is wound around the magnets, and it can be wound in either a clockwise or a counterclockwise (often referred to as Reverse Wound) direction. There are a few ways to determine which way your coil is wound. If the pickup in question is a Single Coil, then many times you can check by holding the pickup with the leads coming out from the top. Remember that the coil is wound from Ground to Hot. If the Ground wire is on the left, then the coil will be wound Counterclockwise to get to the right side of the pickup, resulting in a Reverse Wound pickup (Fig 1). If the Ground Wire is on the right, then the coil will be wound Clockwise to get to the left side of the pickup, resulting in a regular Standard Wound pickup (Fig 2). The best way is to use a test meter. Set it to a low DC voltage range and connect the Black lead to the Ground of the Single coil pickup and the Red lead to the Hot. Lightly tap a screwdriver on the magnet while watching the meter. If you get a positive reading, it is a Standard Wound Pickup; if the reading is negative, it is Reverse Wound. If you have a Standard Wound Pickup but you need a Reverse Wound Pickup you can simply reverse the wires (wire the Ground where you were going to wire the Hot, and wire the Hot where you were going to wire the Ground) and it will work. Phase only affects pickups when they are selected at the same time, such as the two and four positions of a five-way switch AND are in close proximity to each other such, as the Neck and Middle pickup. For two single coil pickups to be In Phase with each other they must BOTH be either the same (North Up, Standard Wound), or opposites (the bridge pickup is North Up, Standard Wound and the middle pickup is South Up, Reverse Wound). Only the opposites option results in noise cancellation, so that is what we consider “Correct.” Any other combination, such as two pickups with two North Up but different coil directions, will cause the pickups to be Out Of Phase with each other. Out Of Phase pickups sound weak, thin, and hollow, and are not usually what we want. Hey Ed, really good article. I am hoping that you can help me. I have 2 Seymour Duncan Vintage Rails from the 90’s (one for neck and one for middle) I believe that each are wired in parallel because there is a red wire and a white wire and a bare wire only. Should I use the red in the neck pup for hot and the white in the middle pup for hot and connect the unused one to ground? Thanks! The bare wire is a shield wire, and as such is not actually part of the pickup that produces sound. The simplest way to look at it is like this. Your red wire is one end of the coil, the white wire is the other end. These are the 2 wires that make your pickup work and they are the ONLY 2 wires that you need. Imagine now that you place the coil inside of a metal box and you solder a wire from the metal box to your house ground – this is your shield/bare wire What happens is that any incoming radio waves and other interference “sticks” to the box and gets shuttled off to ground without getting to your pickup coil and making it to your amplifier in the form of interference. This design also helps to protect you and your equipment from things like lightning and it is used in many things other than pickups (you will see almost all home made foot pedals in metal boxes for this exact reason for instance). Hot Rails are not encased in metal boxes but there are the steel screws and other steel parts that make up the pickup, and that is what the bare wire is grounding. This is why you have 2 ground wires, one is the COIL ground and the other is the PICKUP ground. 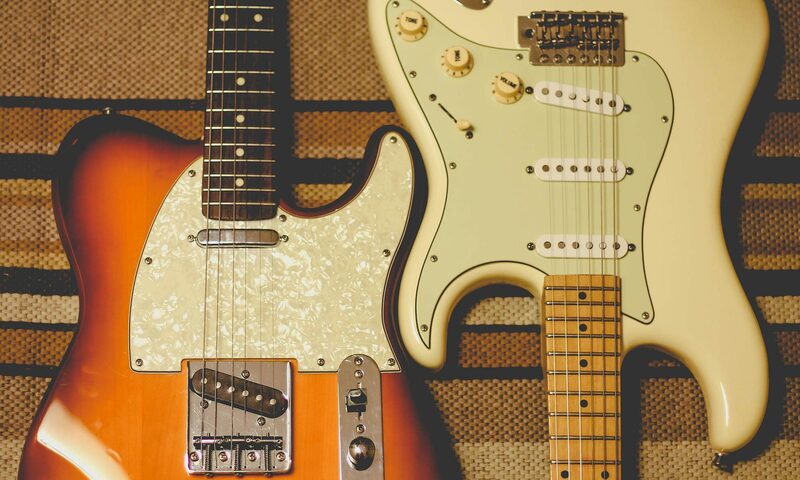 If your bridge pickup is a single coil then I recommend that you check out our “Stratocaster 5 way switch wiring – https://humbuckersoup.com/guitar-electronics/stratocaster-five-way-switch-wiring/“, if you have a humbucker in the bridge I recommend wiring it in series and then using the “Stratocaster 5 way switch wiring – https://humbuckersoup.com/guitar-electronics/stratocaster-five-way-switch-wiring/” article to wire your guitar. Next PostNext What is the difference between overdrive and distortion?